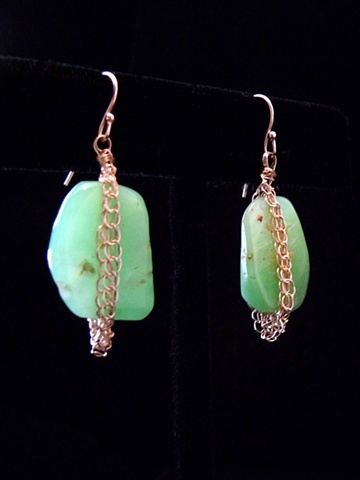 These earrings feature translucent wedges of Chrysophrase, encased in rows of fine silver crochet. They hang from sterling silver, French ear wires. These earrings can be viewed at The Arts Center in Corvallis, Oregon as well.